After helping the Odisha government in disaster relief during cyclone Phailin, amateur radio operators will now help astrophysicists track a comet. 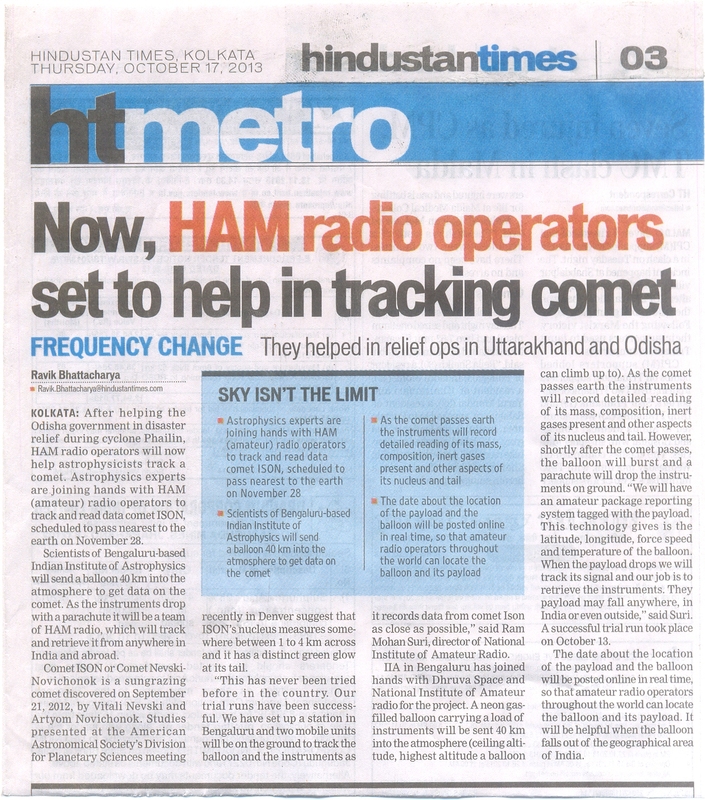 The Hindustan Times reports that astrophysics experts are joining hands with ham (amateur) radio operators to track and read data comet ISON, scheduled to pass nearest to the earth on November 28, 2013. Scientists of Bengaluru-based Indian Institute of Astrophysics will send a balloon 40 km into the atmosphere to get data on the comet. As the instruments drop with a parachute it will be a team of ham radio operators, who will track the APRS packet radio signal and retrieve the balloon.